It’s been about a year since LG took the curtains off its flagship smartphone, the LG G3, and it looks like it’s the time for something new. The South Korean company recently sent out an invitation for an event happening on 28 and 29 April 2015 in various countries including New York, London, Paris, Seoul, Singapore and Istanbul. The invitation does not say what the event is for, but the tagline that reads “See the Great. Feel the Great” has the “G” written using the logo of the LG G series. Judging from the interesting choice of font and the timing, the company should be unveiling its next generation flagship device – the LG G4. In addition to that, the background of the invitation features what looks like a leather notebook, complete with with stitching on it. 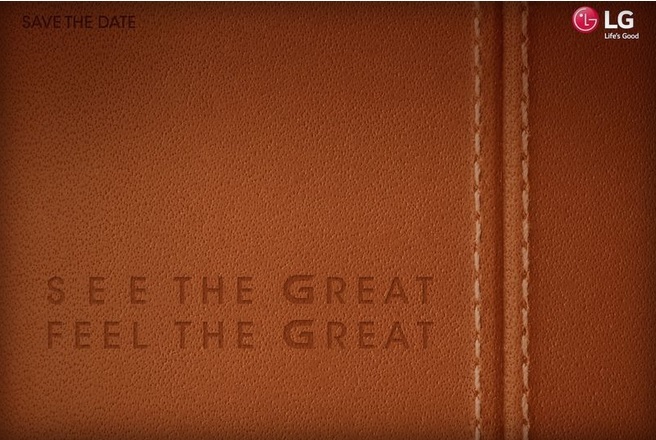 Let’s hope that it’s the LG G4 Note and not an LG G4 that comes with faux leather back cover, similar to the Samsung Galaxy Note 3. Looking forward to see what LG has got to offer, 29 April 2015 should be the date to mark on your calendar. Let’s hope that this time round LG will bring it to Malaysia shortly after the global launch, instead of waiting for seven months like the official availability of the LG G3 in Malaysia.